These are the days when just about every store bought food option is refined. 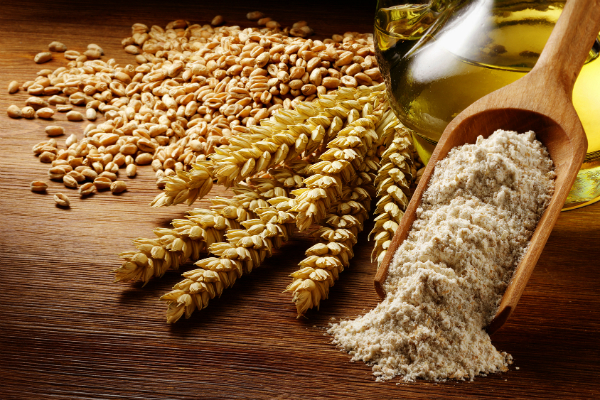 From refined grains to refined flour to refined oils, everything seems to be modified in terms of appearance and taste. However, this is something that nature in its purest form has never intended. All life forms inhabiting and thriving on earth are expected to eat benefit from whole foods and humans are included in this list. The benefits of whole foods are infinite and unparalleled, making them the best dietary option for people in this stress laden 21st century where malnutrition, gastrointestinal disorders, diabetes and heart ailments make bigger headlines than terrorism. To begin with, whole foods are rich and complete in fiber, something that you GI system will thank you for. Intake of natural and good quality fiber will not just help in maintaining a healthy morning routine, it will also ensure regulation of sugar in your body which will in turn play its part in keeping diabetes and heart diseases at a safe distance. Secondly, whole foods contain good carbohydrates that help you stay fuller thus, cutting down on sugar craving or any craving for that matter. Unlike carbohydrates in refined food, whole food carbs don’t pile up as abdominal fat or fat in any other difficult places, and is thus, one of the best dietary options to consider when it comes to losing or maintaining weight. Thirdly, whole foods are one of the best ways to fight nutrient and micro nutrient shortage in your system in a natural way. Whole plant foods have been identified as one of the best sources of phyto-nutrients which are power packed anti oxidants that help combat issues like premature aging, breakdown of fat, cholesterol and many more. Starting with a whole food diet is very easy and undemanding. Firstly, you must try and include as much fresh fruits and vegetables in your diet as possible. As far as fruits are concerned, berries should always form your primary option. There could be nothing better than a bowl of assorted berries including blue berries, black berries, strawberries and raspberries with breakfast or lunch or as snack. Besides this, fruits like apples, oranges, peaches, pears, pineapples, apricots, plums, prunes, watermelons etc are also quality whole food options. As far as vegetables are concerned, options like salad greens, spinach, cabbage, cauliflowers, broccoli, beat, radish, peppers, tomato, turnips, asparagus, celery and cucumbers are great to consider. Grains are vital whole food inputs. Unrefined beans and lentils can be great sources of proteins, fiber, phytochemicals and other essential nutrients. As far as protein options are concerned, lean meat like chicken, white turkey, lean beef and lean ham can be considered. As far as fishes are concerned options like salmon, herring, trout, shrimps, tuna, sardines make quality whole food inputs. While there is no alternative to the benefits that you can draw from whole food, you have to make sure that the quality of the whole food is never unrecognizably altered by overcooking. Fruits are best when eaten in whole than juiced. Vegetables will offer best benefits when minimally cooked. If you walk an additional mile to ensure that the fruits and vegetables are organically grown, your health meter would strike its all-time best! ← 5 Ways To Make Chicken Breasts More Exciting!